Living Inside of a Snow Globe | Life + Business Coach | Vickery and Co. I have always loved snow globes. I think they’re magical and I collected them when I was younger. I would stare inside, at the pristine little world covered in “snowflakes” and imagine what it would be like to live inside one. As I got older, instead of feeling like I was on the outside of the snow globe looking in, I began to feel like I was on the inside, looking out. I had imagined what it felt like to live inside that snowglobe and then I realized my life really did resemble that exact thing. Unfortunately, I felt stuck in the pristine little world, surrounded by glass and unable to get to reality. I imagined that everyone on the outside was looking in and thinking what a pretty little picture it was, but there I was, not really living life. Now that I’m further away from that, I realize that I was trapped by fear and living an inauthentic life. I felt like I was supposed to be happy because I was in this pretty little world and to everyone else things appeared perfect. You see, I felt stuck but I didn’t know why and I didn’t know how to change anything. Do you feel this way? Have you ever? You’re not alone. The question is, how will you get out? Here is my question, what changes and choices are you willing to make today that will get you out of the bubble? How will you get to the other side of the glass? How will you live an authentic life? You may be asking, “How do I start?” The answer is simple. First, take a moment to close your eyes and envision the future you want and write it down. Then, write your ideal future down and truly imagine this future is your current reality. For this to work, you must believe that it is happening right here, today. Trust me, you don’t need a ready-made road map, you can create your own. 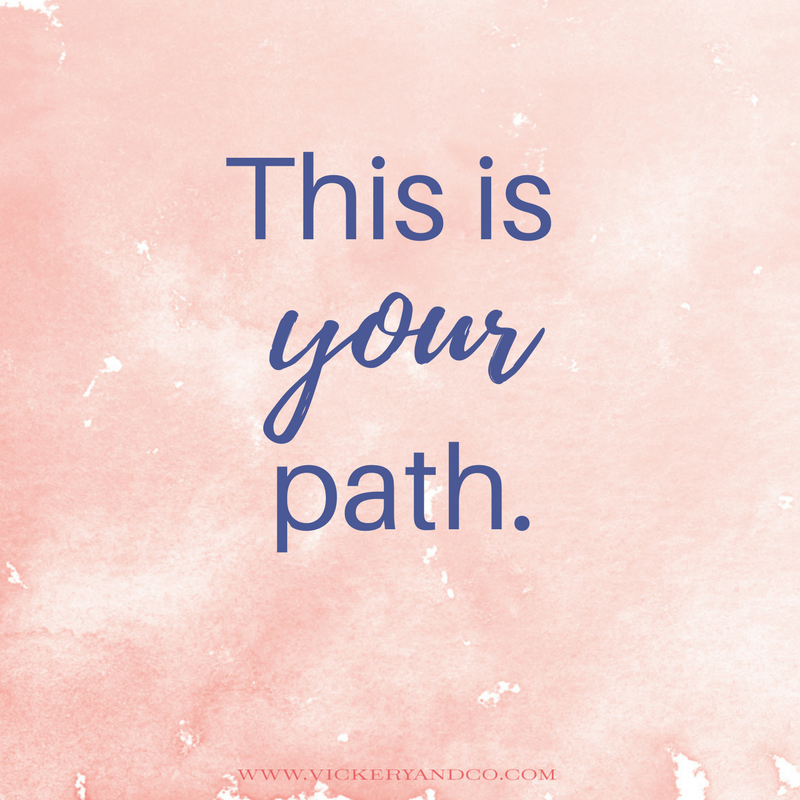 You see, you’re not forging someone else’s path because this is your path. No one can decide what it looks like except you. As you begin to build your map, you will become one step closer, every day, to being who and where you want to be. At the beginning of her coaching, a client once shared with me that she wanted to become the CEO of her company. That’s a bold move. It’s a gutsy vision. The problem was, she didn’t have a road map. She didn’t know how in the world she was going to get to CEO. I assured her that we had all the tools and resources we needed to create one for her. Believe me, you can invent your future, you can create it. You don’t need a roadmap because you can design your own. It’s all there for you. Once you have decided you really want it you can begin. Start today, right now. You can get on the outside of the snow globe. Just like I did.